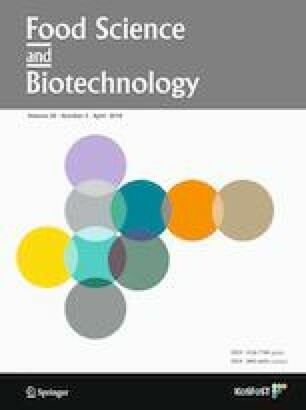 The release of bioactive pigments could be potentially improved by enzyme degradation of plant cell wall polysaccharides. In this study, the objective was to evaluate enzyme type (cellulase and pectinase), pH values, hydrolysis temperature and time on the release of astaxanthin from Haematococcus pluvialis (H. pluvialis). The results showed that pre-treated H. pluvialis with enzymes could improve the separation yield of astaxanthin. Pectinase release rate of astaxanthin from H. pluvialis was significantly higher than cellulase (p < 0.05), and enzyme hydrolysis time was also shorter. The stability study of astaxanthin oleoresin and microcapsule during storage at different temperature, oxygen and illumination was found that the degradation rate of astaxanthin rose with increasing temperature and illumination time, and the retention in oxygen environment decreased. The stability of astaxanthin microcapsules was better than astaxanthin oleoresin. Financial support of this work by National Natural Science Foundation of China (No. 21406133).